MedExpress operates at the convergence of health care and retail. Founded in 2001, MedExpress is dedicated to delivering an unparalleled patient experience in convenient locations. Patient visits are efficient but never rushed. MedExpress neighborhood medical centers serve as a front door to the larger health care system, helping to bridge the gap between traditional primary care and the emergency room. Today there are more than 200 locations nationwide. MedExpress measures success one patient at a time, resulting in excellent customer loyalty. In fact, 90% of patients would recommend MedExpress to others. MedExpress joined OptumCare in 2015. OptumCare® Network of Utah is a comprehensive network of medical providers and hospitals. The Network is a partnership with UnitedHealthcare, with OptumCare taking full risk on an entire Medicare Advantage plan for quality, cost and patient satisfaction. Working directly with the market's primary care physicians, OptumCare seeks to use data, technology and incentives to improve the performance of the delivery system. 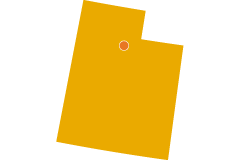 OptumCare Network of Utah was formed in 2015. USMD is a physician-led, integrated health system committed to exemplary patient care. In Texas, USMD serves the Dallas-Fort Worth metro area with more than 250 physicians and associate practitioners. USMD provides health care services to patients in more than 20 different specialties at its two hospitals, four cancer treatment centers and nearly 50 physician clinics, many of which are multi-specialty. USMD joined OptumCare in 2016. 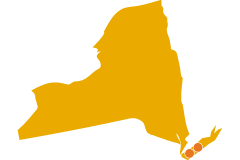 Founded in 1997, ProHEALTH Medical Management, LLC is one of the largest integrated physician group practices in the New York metropolitan area, with 20 locations throughout Long Island. ProHEALTH boasts state-of-the-art medical facilities, with the most advanced technology available to offer services and treatments to thousands of patients ofall ages each month. Founded in 1990, WellMed's vision has been consistent--a physician-led company working to change the face of health care delivery for seniors. Towards that end, WellMed parnters with multiple Medicare Advantage plans. 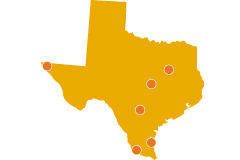 Through the WellMed Care Model, WellMed specializes in helping patients in Texas stay healthy by providing the care they need from doctors who care about them. WellMed joined OptumCare in 2011. American Health Network (AHN) was founded in 1994 by a group of physicians seeking to improve patient care delivery and outcomes across the care continuum while controlling costs. Over the years, AHN has developed a culture built on the values of quality and innovation resulting in continuous growth and improvement. The focus has been on affiliation with high-performing providers who value collaboration as well as respect for differences. 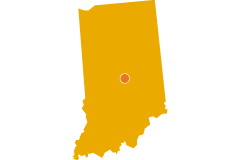 Today, AHN consists of more than 70 medical practices and 200 primary care physicians and specialists in two states—Indiana and Ohio. American Health Network joined OptumCare in 2017. 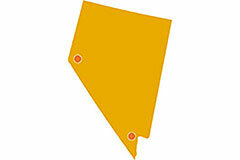 Southwest Medical was founded in 1972 and started the first HMO (Health Plan of Nevada) in the state in 1981. For more than four decades, Southwest Medical has provided quality, compassionate and innovative care to Southern Nevadans. As the largest provider of health services for its sister organization, Health Plan of Nevada, Southwest Medical has led the way in developing outpatient-based strategies to manage patient populations. From 24-hour urgent care centers to convenient e-visit capabilities, SouthWest Medical is committed to providing patients with the care they want, when they want it. Southwest Medical joined OptumCare in 2008. Through the WellMed Care Model, WellMed specializes in helping patients in Florida stay healthy by providing the care they need from doctors who care about them. WellMed joined OptumCare in 2011. 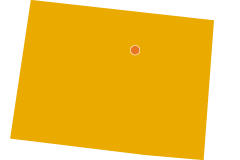 ProHealth Physicians is Connecticut’s largest physician-led health care delivery system. 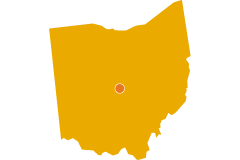 Formed in 1997, it includes more than 360 primary care and specialty physicians and advanced practice clinicians, and offers a wide range of diagnostic and therapeutic services. ProHealth has participated in the Medicare Shared Savings Program since 2013 and is contracted to care for more than 100,000 patients through commercial shared savings agreements. Made up of community-based physician practices, ProHealth focuses on continuous improvement and ongoing expansion of clinical programs to support wellness and to prevent and treat chronic illnesses. ProHealth Physicians joined OptumCare in 2015. New West Physicians was founded in 1994 by physicians united by the vision of working together to enhance the physical, mental and spiritual health of the communities they serve—through an integrated, primary-care owned and patient-centered health care delivery system. Today, New West Physicians is one of the largest physician-owned primary care group practices in the Denver Metro area, with more than 100 providers and dedicated hospitalists at the area’s five major hospitals. New West Physicians joined OptumCare in 2017. OptumCare® Network of Arizona (formally Lifeprint) is a comprehensive network of medical providers and hospitals, and consists of more than 1,000 primary care physicians, 4,000 specialists and 18 hospitals. OptumCare Network of Arizona is a partnership with UnitedHealthcare that is moving from an affiliated network model to an employed and affiliated multi-product delivery system. Working directly with the market's primary care physicians and specialists, the Arizona network seeks to use data, technology and incentives to improve the performance of that delivery system. 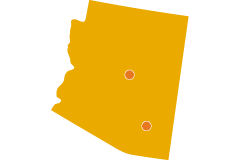 OptumCare Network of Arizona was formed in 2011. Surgical Care Affiliates (SCA) was founded in 1982, and currently operates the largest network of independent ambulatory surgical centers (over 200) and surgical hospitals in the U.S., in partnership with physicians. Committed to exceptional patient care, SCA creates value by optimizing the patient experience and building strategic partnerships with physician groups, health plans and health systems. These partnerships allow for the acquisition, development and optimization of facilities to help provide better access to high quality care at lower cost. Scheduling is easy, access is convenient, billing is transparent, and 95% of patients say they would recommend SCA. Today, SCA has more than 7,500 affiliated surgeons, 3,000 physician partners, 40+ health system partners, 500+ health plan contracts, and growing. SCA joined OptumCare in 2017. OptumCare® Medical Group (OCMG), in Southern California, was formed in 2012 through the merger of two well-established and respected primary care provider groups. Today it consists of over 20 medical offices and 100+ combined physicians and advanced practice clinicians. OCMG providers have a long-standing history of providing efficient and quality health care services to commerical HMO, Medicare Advantage, PPO and fee-for-service patients. OptumCare Medical Group serves patients of all ages using a unique care model that emphasizes proactive, preventive and coordinated care. The entire spectrum of care is offered in partnership with AppleCare, Monarch HealthCare and NAMM. AppleCare Medical Group was formed in Lynwood, California, in 1996. The vision was simple: to bring quality, coordinated care to patients and a secure business model to the medical community. Over the last 20 years, the medical group of independent primary care and specialist practices has expanded into new communities, contracted with new hospitals and health plans, and added hundreds of doctors. AppleCare joined OptumCare in 2010. Monarch was formed in 1994, as three Independent Practice Associations (IPAs) came together to form Orange County's largest association of physicians in private practice. Today, Monarch's footprint covers the entire Orange County area as well as the Long Beach market, making it the network of choice for payers wanting broad regional coverage with a single, high-performing network. Monarch joined OputmCare in 2012. 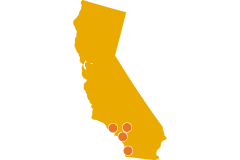 Since 1993, NAMM California has developed and managed provider networks, offering a full range of services in Southern California to support physicians and other providers in care coordination and business operations. For nearly 25 years, NAMM has been an innovator in health care with a track record for quality, financial stability, and superior electronic capabilities--helping to ensure improved health outcomes and patient experiences. NAMM joined OptumCare in 2012. OptumCare® Network of Connecticut is a comprehensive multi-payer network of medical providers and hospitals across the State of Connecticut working together to provide high quality coordinated care to our communities. Providers in the network share a vision of transforming care in Connecticut to better serve the needs of patients and their families. The network’s demonstrated programs and systems are continually enhanced to support the efficient delivery of care and service. 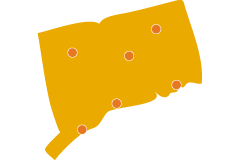 The OptumCare Network of Connecticut was launched in 2016. Riverside Medical Group was founded over 40 years ago with an unwavering commitment to continuity of care and evidence-based medicine. 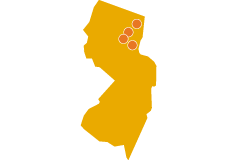 Today, there are more than 85 locations serving patients in New Jersey, including Hudson, Bergen, Passaic, Burlington, Middlesex and Essex counties. As a nationally-designated Level 3 Patient-Centered Medical Home, Riverside is able to provide patient-focused medical care to your entire family. Our team includes 250 board-certified medical providers specializing in adult medicine, pediatrics, cardiology, behavioral and mental health, optometry and more. Riverside offers the longest hours of operation of any private multi-specialty group in the country, with our headquarters open 365 days a year from 7 a.m. – 12 a.m. Riverside joined OptumCare in 2017. Reliant Medical Group was founded in 1929, becoming the first group medical practice established in Central Massachusetts. Today, it is the largest independent medical group in Central and MetroWest Massachusetts, with 25 locations and over 500 providers. At Reliant Medical Group, the focus is on providing quality care that meets patient needs, ensuring they receive the right care at the right time through a wide range of primary and specialty care services. As one of the most dynamic and progressive health care organizations in the country today, Reliant Medical Group consistently delivers clinical outcomes that meet or exceed national standards. Reliant Medical Group joined OptumCare® in 2018. Great health begins with access. OptumCare Network of Nevada offers a large network of providers to help you get the right care at the right place. It also makes it possible to build a strong relationship with the physician of your choice. Nevada offers two Medicare Advantage plans that give you access to the OptumCare Network – Senior Dimensions or AARP Medicare Complete. 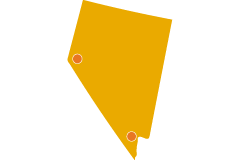 OptumCare Network of Nevada was formed in 2016. We are building a physician-lead care delivery system. If you want your work to make a powerful difference in others' lives, explore joining OptumCare.